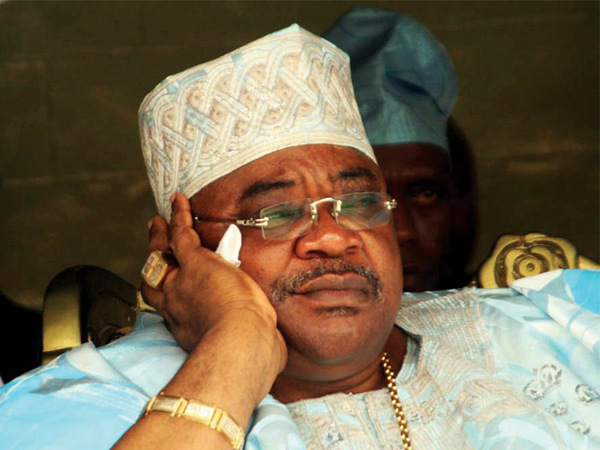 Former Governor of Oyo State, Chief Adebayo Alao-Akala said he wouldn’t have cope as a governor if he had won the 2015 Governorship Election in Oyo State under the platform of the Labour Party because of the dwindling nature of Nigeria Economy. Akala who was at the National Secretariat of the All Progressives Congress (APC) his new party to meet with the party leaders told journalists that, he would have find it difficult to sleep with the dwindling allocation. On whether he is satisfied with the APC pace he said “If I’m not satisfied, I will not join the APC. I have a choice. I’m in the APC because I’m satisfied with the change. So, I’m okay. Akala also advised Nigerians that “the change agenda has already started. It has not been the business as usual. Things have started changing. I know it’s purely for good purpose by the grace of God. When you are just coming on board, you will have challenges here and there. But sooner or later, you will get over it. On the reported threat his entrance to APc has cause he said “It’s always like that in politics. But there is nothing to fear about. What you should just know is that by the special grace of God, water will find its own level. “At any situation, water will find its own level. So, there is nothing to be afraid of. We are all the same. You cannot isolate yourself in a particular party. I know the APC has a very good mechanism of taking care of that. And that is exactly what they will do when the time comes. Nobody should be afraid of anybody. We complement one another. On his plan for 2019 the former governor said: “When we get to the bridge, we shall cross it. This is just 2016. Time will tell wherever anybody wants to go. Why do you try to ask God about 2019 now? Do you know whether you will sleep tomorrow and wake up tomorrow? Let’s leave 2019 to God.